MEDICAL COSTS SINCE DECEMBER 2013: $2,665.69 PLEASE CONSIDER MAKING A DONATION! Jill is a 5-year-old fawn female born October 15, 2008. Her sire is Dodgem by Design and her dam is WW Dynamo. 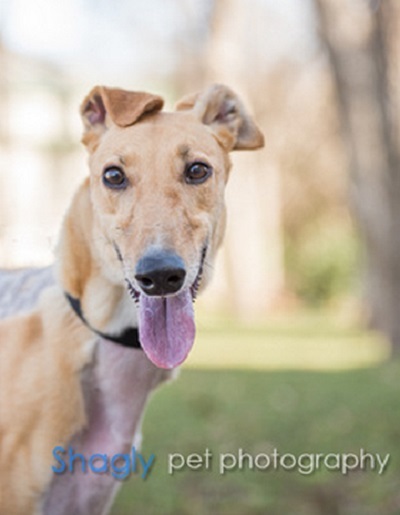 She has no races on record, or indeed any record, on greyhound-data.com, although several of her littermates are registered. She was picked up as a stray by Amarillo animal control. Her medical condition is being evaluated - she has a broken left front leg. Jill should not live with cats. Jill was referred to Dr. Bob Radasch of the Dallas Veterinary Surgical Center for evaluation. It was determined that her leg could not be saved due to the chronic damage sustained some time ago. Amputation was performed on December 17, and her recovery has been very successful. She will complete her spay and other medical procedures soon. 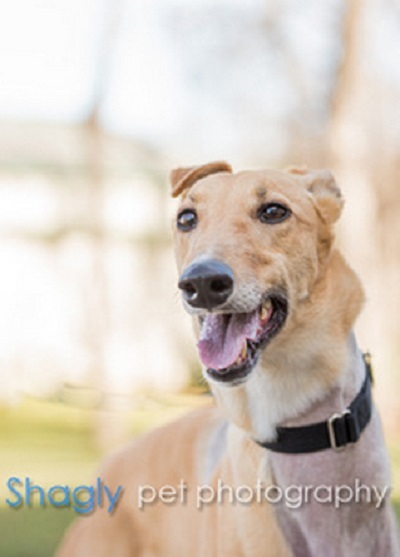 Jill has completed her medical procedures and is ready to find her forever home! Jill is a happy, bouncy girl who doesn't seem to care at all that she's down a leg on the other dogs. She loves going on walks, gets excited when it's time to eat, and likes to curl up on a dog bed near her people. 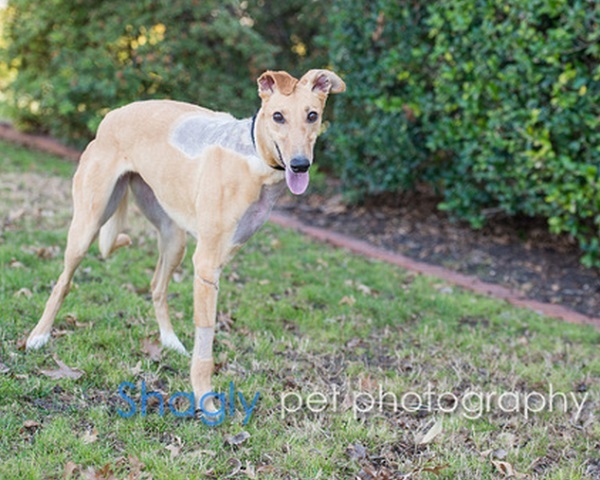 This sweetheart has good house manners and gets along well with the other greyhounds in her foster home. Her tail is always wagging - she's just full of life. Come meet this cheerful girl soon!